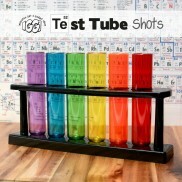 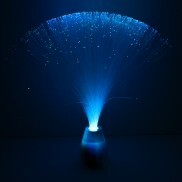 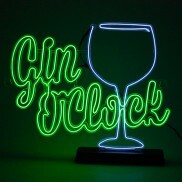 Fabulous party decorations and accessories such as UV face and body paint, indoor fireworks and festive accessories. 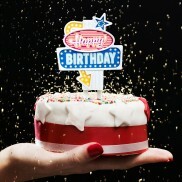 A stylish alternative to birthday candles, top your cake with a flashing retro "Happy Birthday" sign. 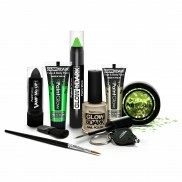 This ultimate glow in the dark make up kit contains everything that you need to go all out glow diva as you party! 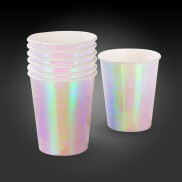 Up the wow factor at your party with shimmering iridescent party paper cups! 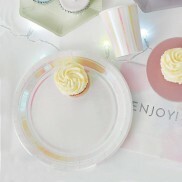 Add shimmer and shine to your party platter with iridescent pink paper plates! 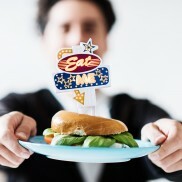 As if you really needed an invitation to tuck into that delicious dish, this flashing food topper invites you to "eat me"! 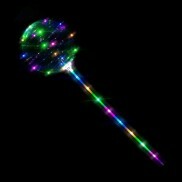 Create enchanting floating fairy light displays and show stopping party decorations with magic light up balloons! 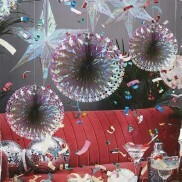 Add shimmer and shine to your party with colourful iridescent honeycomb hanging decorations. 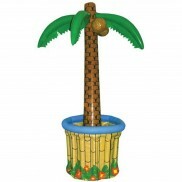 Go coco nuts over this brilliant inflatable Hawaiian beach party drinks cooler for chilled drinks and tropical party vibes! 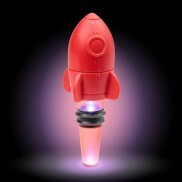 Get creative with unfinished bottles of wine illuminating the bottle with a light up rocket bottle stopper! 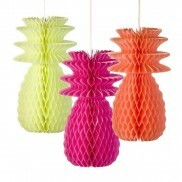 Delightfully kitsch and larger than life, neon honeycomb pineapple decorations add tropical chic to your celebrations! 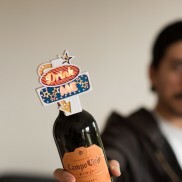 Add sparkle to bottle gifts with a flashing bottle topper that invites you to "drink me"! 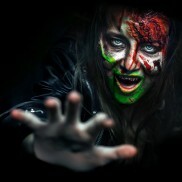 Ramp up the fear factor this Halloween with super gory effects that glow in the dark! 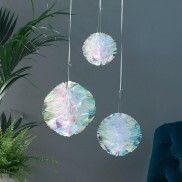 Hang shimmering iridescent foil fans in your party zone for extra wow factor! 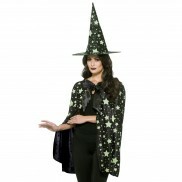 All it takes to become a spooky witch is a pointed hat and a creepy cape decorated with glow in the dark stars! 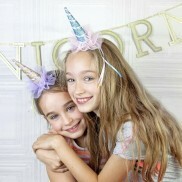 Add extra sparkle to your look whether you're partying or at play with a magical sparkly unicorn horn! 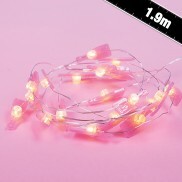 Perfectly pink and with extra sparkle, mini Prosecco bottle string lights make fantastic party decorations! 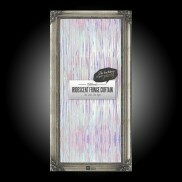 Glitzy, glamorous and easy to hang, transform your party venue with a shimmering back drop of iridescent ribbons! 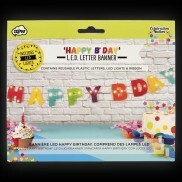 Nothing says Happy Birthday quite like a birthday banner with colourful letters and bright LED lights! 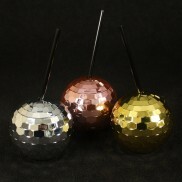 Go disco and serve up your party drinks in these glam disco mirrorball drinking cups! 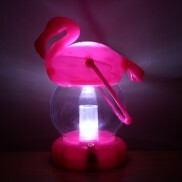 So kitsch they're cool, these decorative pink flamingo party lanterns add instant party atmosphere to your home! 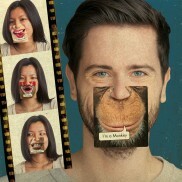 Don't risk people flouting the dress code. 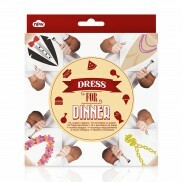 Provide your own swanky attire by means of napkin and they'll have no excuse not to comply. 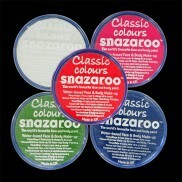 Get into the party spirit and get creative with bright and colourful Snazaroo Face Paint. 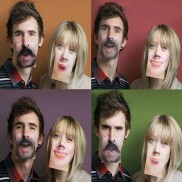 A water based facepaint that's kind on the skin and easy to apply for fun designs. 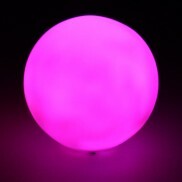 Packed with colourful light, this contemporary little ball is stylish and versatile adding a splash of colour to your interiors. 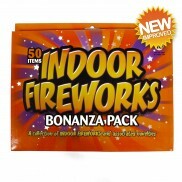 Retro indoor fireworks set your party off with a bang! 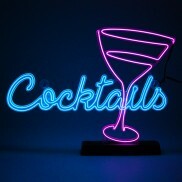 Indoor fireworks add some colour and sparkle to your celebration whatever the weather. 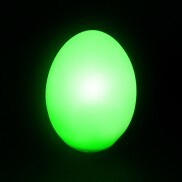 Keep the chocolate this Easter and try an Easter egg hunt in the dark with four colour change egg mood lights!